The more you read, the more things you will know, the more you learn, the more places you will go! 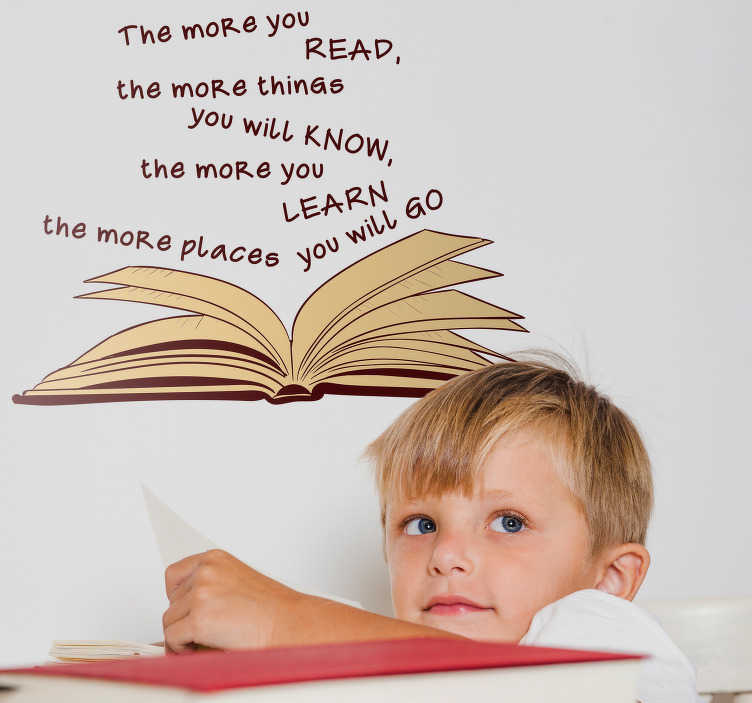 A fantastic home decal sticker for those who just love to read! Depicts an inspiring Dr Seuss themed quote encouraging all children to read, so if you have trouble persuading your children to read, just show them this brilliant quote sticker!